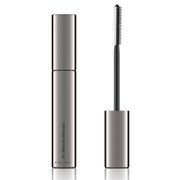 Stay All Day Lash Mascara is an innovative, long-wearing mascara that contains a special polymer with an extremely high resistance to water. 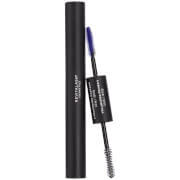 The rich formula pumps up the volume of lashes, is buildable and unlike other waterproof mascaras, leaves lashes soft and shiny, yet will not smudge, budge or flake. The unique triangular brush expertly applies a generous coat of mascara for extreme volume and beautifully defined lashes. 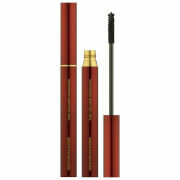 Waterproof and long-wearing, Plush volumizing formula, Contains a nourishing conditioning agent, coconut oil, and anti-oxidant-rich mango butter, which leave lashes soft, protected, smooth, and shiny , Innovative 3-d triangular brush utilizes 3 wells to dramatically load mascara onto lashes for volume, and 3 rows of combing bristles to lift, lengthen and define each lash, Paraben free. Isododecane, Paraffin,VP/Eicosene Copolymer, Beeswax (Cera Alba), Disteardimonium Hectorite, Pentaerythrityl Hydrogenated Rosinate, Cyclopentasiloxane, Talc, Polybutene, Copernicia Cerifera (Carnauba) Wax, Polyquatenium-7, Silica, Mangifera Indica (Mango) Seed Butter, Hydrogenated Coconut Oil, Caprylyl Glycol, Phenoxyethanol May Contain (+/-) Iron Oxide (CI 77499). The one big thing I don't want is to walk in the bathroom and see that I have black smudges under my eyes and I've been walking around all day looking that way. This mascara does that and it is just not a good look! Favorite mascara ever. My lashes are a little sparse; this makes them thick and longer with a little curl too, and no flaking or running like other mascaras. I wish it was not waterproof -- it is a little harder to remove than I would like for daily wear.